Cover more ground and see just about all of Macintosh Island in roughly an hour on this tour that travels on “all-terrain” Segways. 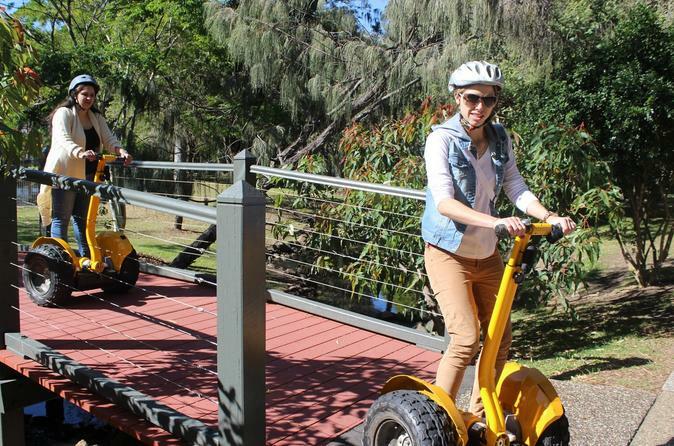 The balancing all-terrain machines help you safely navigate the island park's bridges, lakes, creeks, cave, and waterfalls. After the park, cruise along the Main Beach strip towards the heart of Surfer’s Paradise.